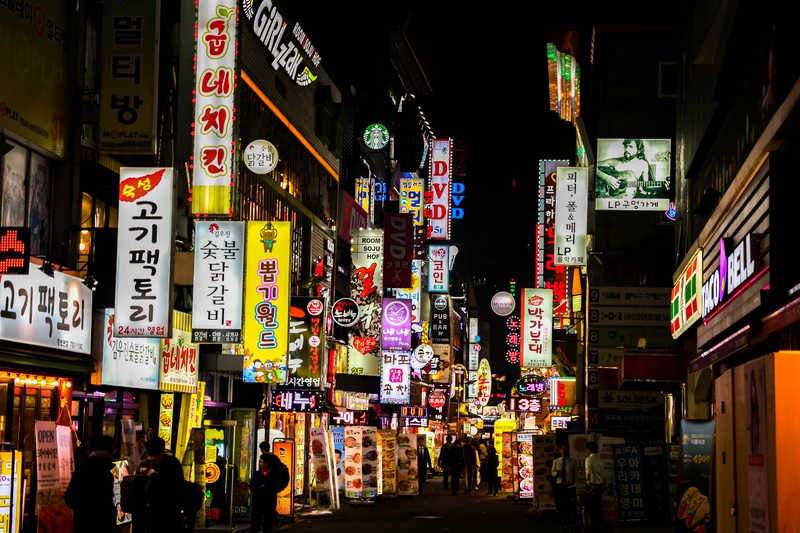 The Republic of South Korea has been in the vanguard of vapor product taxation since 2011 when it extended the Tobacco Consumption Tax (excise) to a new class of “electronic tobacco”, defined as liquid nicotine solution used in electronic devices. Since then a series of earmarked taxes including the National Health Promotion Fund and the Local Education tax have been applied to products in this category. As of January 2017, the Tobacco Consumption and other taxes also apply to heated tobacco products in South Korea. Amendments to the Local Tax Act, approved in December 2016, introduced a new tax category: inhaling tobacco products using electronic devices. The Tobacco Consumption Tax, along with the Health Promotion, Education and Individual Consumption taxes, which were implemented concurrently, are all levied on the weight of the heated tobacco mixture at specific rates (KRW 88 per gram, for example in the case of the Tobacco Consumption Tax). The extension of excise taxes to heat-not-burn (“HNB”) tobacco products reflects the growing popularity of the category in South Korea. Sales of HNB products, including Philip Morris International’s IQOS HEETs and British American Tobacco’s Glo Neosticks have grown substantially since they were introduced just a few months ago following their success in Japan. Local producer Korea Tobacco & Ginseng has announced that it will be launching its own HNB product in the near future. This evolution in fiscal policy suggests a sound, innovative approach to taxation that adapts to technological and commercial changes in the market while maintaining efficient, easy to administer tax classifications and structures. The logic and simplicity of Korea’s tax scheme for HNB products may be about to change, however. A proposal offered in the National Assembly would increase the Individual Consumption Tax levied on the new heated tobacco products while simultaneously splitting them into two new tax classes based on product format. The taxable base for rods of tobacco such as HEETS and Neosticks that are inserted into electronic devices and heated to produce a vapor would be changed from weight to a pack of 20 sticks. The rate of tax applied per pack of 20 sticks would be KRW 594 which is currently the rate applied to conventional cigarettes that are burned. Heated tobacco products in which the tobacco mixture comes in other formats such as capsules or pods would be taxed at KRW 99 per gram. There are two major flaws to this approach. First, creating multiple tax categories for tobacco that is heated rather than smoked is problematic. The Tobacco Consumption Tax which is currently applied to the weight of HNB tobacco smooths out the differences among competing product formats such as rods, capsules and pods and taxes the common element, namely the tobacco blend. The history of cigarette taxation is replete with examples of differentiated rates based on tobacco blend (Turkey, France), packaging and product format (Brazil, Russia) and stick length (India, Czech Republic). These complex structures have induced both consumers and manufacturers to game the system in search of lower taxed products leading to market distortions and revenue inefficiencies. In some cases, illicit trade was engendered. Fortunately, such intricate tax structures are largely a thing of the past in conventional cigarette markets and should not be given a rebirth in the vapor products segment. The second major drawback of the Assembly’s bill is the proposal to tax HNB sticks equally with cigarettes that are smoked. How can this be justified? The risks to health from smoking conventional cigarettes are well researched and documented. HNB tobacco is new to the market and while research on the health impacts of vaping this product is underway little evidence is currently available. Production of vapor through heating occurs at much lower temperatures than is required to burn tobacco and produce smoke. Many of the harmful constituents of cigarette smoke are generated in the process of burning the tobacco. Manufacturers of the heated tobacco products affirm that they generate 90% fewer harmful chemicals than conventional cigarettes do. Other countries which tax heated tobacco products apply rates that are substantially lower than those on conventional cigarettes. This is logical if the health policy objective is to encourage smokers to switch to potentially reduced risk products. Fiscal policies that make it difficult for manufacturers to price heated tobacco products below conventional cigarettes eliminate incentives for consumers to try less harmful options. The Assembly’s Strategy and Finance Committee was scheduled to discuss the bill on August 28 but decided that further review, including an analysis of how HNB products are taxed in other countries, was needed. The Committee is expected to consider the bill at a future date. While introducing taxation to vapor products may be seen as a step forward in the advancement of South Korea’s fiscal policy, creating different tax classes for heated tobacco based on product formats and applying the same rate of tax to HNB sticks as to combustible cigarettes are clearly two steps backward.